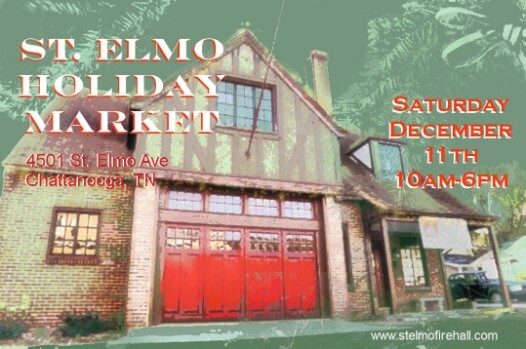 Welcome to The St. Elmo Holiday Market! Make your Holidays beautiful and unique by purchasing hand-crafted gifts this year. 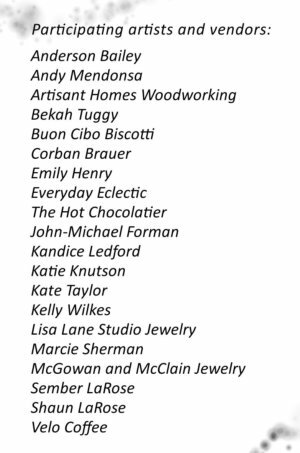 Local artists and artisans will collaborate to create a one-of-a-kind shopping experience in the heart of Historical St. Elmo. With a selection of gifts to suit both modest and healthy budgets, the St. Elmo Holiday Market is a must-see for anyone looking to find beautiful and memorable presents.